I am happy to announce that, last Wednesday, the development team published NetBeez 1.5 Release. You can read yesterday’s press release, in which we officially announced our latest update. 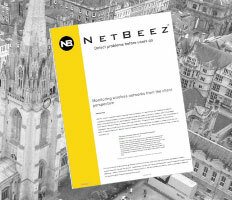 All existing NetBeez users received a notification as soon as the new release was made available – many of them have applied 1.5 to their on-premise or cloud installation. The team and I are very excited about this release because it includes a new major feature, SSID hopping, as well as many improvements and bug fixes. SSID hopping was first launched as an alpha feature back in 2017. Since then, we received encouraging feedback from early users and were finally able to include it in this new release. 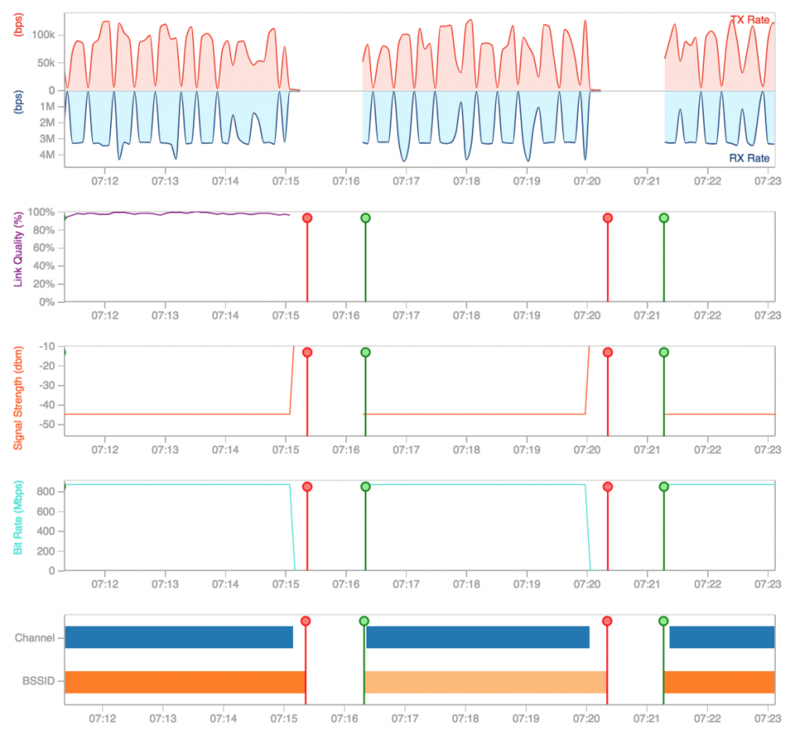 Now, every NetBeez user can start monitoring multiple SSIDs with their existing WiFi sensors, to test authentication, connectivity, and performance. SSID hopping enables a single WiFi monitoring sensor to test up to four SSIDs by regularly connecting to each one of them for a certain amount of time, expressed in minutes or hours. Today, most enterprise organizations broadcast two or more SSIDs for their end users. The first generally includes the corporate employees, that are contained in a protected network environment with Internet and intranet access. A second one is for the guest users, that are connected to a different, isolated network with Internet access. SSID hopping works seamlessly with an existing NetBeez WiFi installation. 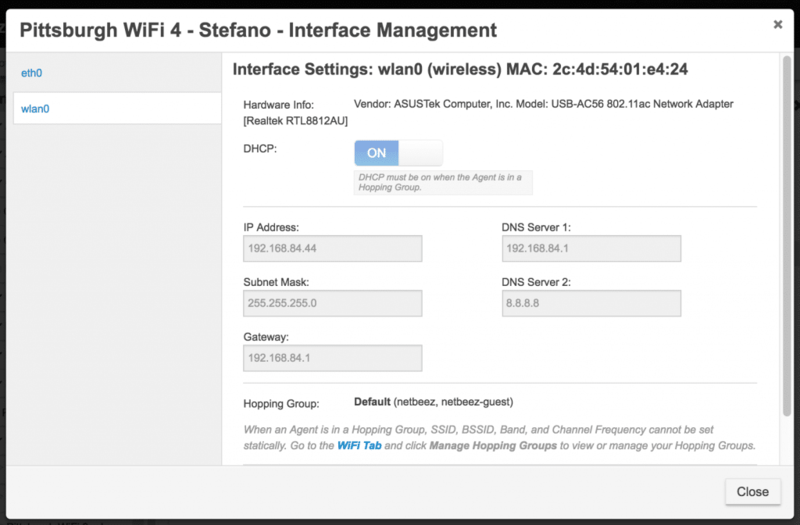 The user first enables SSID hopping by picking between two and four WiFi networks and the hopping interval. The hopping interval is the amount of time that an agent will stay on a single SSID. For the last step, the user selects the WiFi agents to be included in the group. A hopping group is created: the agents will start the monitoring the different WiFi networks, testing authentication and connection to those WiFi networks. From an agent configuration perspective, an agent can either belong to a hopping group, or to an SSID. Also, static IP addressing is disabled for hopping agents, since generally each network has a different subnet ID. An SSID hopping agent will monitor the same set of targets in each WiFi network. The BeezKeeper (NetBeez’ central controller) will build different test profiles based on which specific SSID to which the agent is connected. If a performance issue is detected on a Target in one specific SSID, that doesn’t necessarily mean that the same is true for another SSID. If you want to learn more about this new WiFi feature, please check the SSID hopping documentation page. We have exposed the agent unreachable alert and WiFi disconnection alert thresholds, giving the user more control on how quick they want to be notified when an agent is unreachable from the dashboard, or a WiFi sensor can’t connect to an SSID. In the the agent detail view, the user can now select and view multiple real-time tests in parallel, comparing the results and performance of several tests. We have updated the ‘create target’ workflow, making it easier and more intuitive for users to create targets and monitor applications. We have enabled the reverse option in iperf version 3, so users can initiate a throughput transfer from the server to the client. This option is very useful when the client is behind a NAT/Firewall, like a home Internet subscriber. 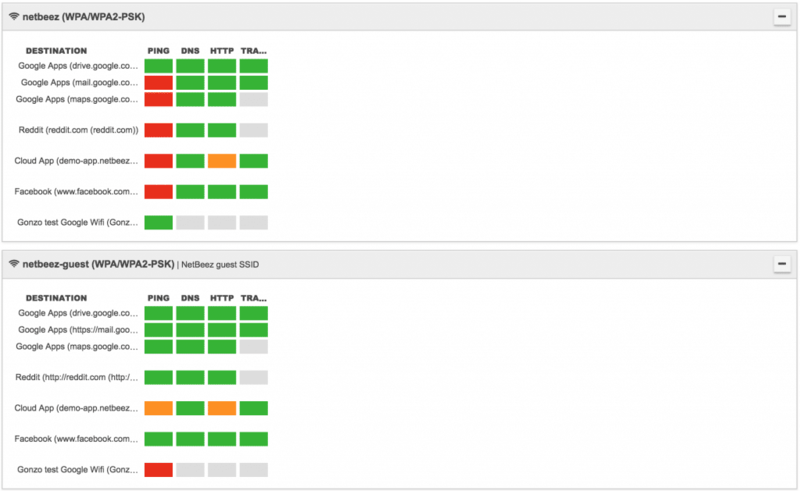 The iperf reverse option enables the agent to connect to the iperf server, and the server to then initiate the throughput test, bypassing the NAT/Firewall restrictions. The detail view of a WiFi network now reports the agents that are unreachable. We have added the menu options “Pause All Tests” and “Resume All Tests” in the WiFi detail view. These functions allow you to pause/resume tests that are run by agents included in that SSID. If you’re interested in learning more about 1.5, you can read the full list of improvements and bug fixes online in the 1.5 Release Notes page.